The use of ethanol as a transportation fuel has been promoted by government policies around the world that either mandate the blending of ethanol into gasoline in certain percentages, or which allow such blending up to specified maximum blend percentages. From time to time in this blog, I’ll discuss such government policies around the world. Today’s post will discuss public policy implications arising from the U.S. government’s decision in 2011 to allow ethanol blends of up to 15% to be used in a significant portion of the nation’s automobiles, and the debates and controversies that have also resulted from this decision. In the U.S., specified maximum ethanol blends have been established under the legal requirement that any fuel or fuel additive that is to be sold in the U.S. must first be registered with EPA under regulations specified in 40 CFR Part 79. I’ll explain the basis for this requirement in a companion post on my “Advanced Biotechnology for Biofuels” blog. Until recently, EPA regulations specified that ethanol could not be blended into conventional gasoline above 10% by volume (“E10”), and most gasoline sold in the U.S. contains ethanol blends of up to 10%. However, this limitation created the so-called “blend wall” for ethanol – since only so many gallons of gasoline are sold in the U.S. each year (a number which has actually been decreasing as fuel efficiency of the automotive fleet has improved) there was an absolute ceiling for ethanol use that could not be exceeded even if 100% of U.S. gasoline stocks were blended with ethanol to the maximum 10%. This is widely perceived as an obstacle to the adoption of increased amounts of ethanol in the U.S. market, as well as an obstacle to the industry’s ability to meet the rising annual volume mandates for ethanol under the Renewable Fuel Standard, leading to calls for EPA to revise its regulations to allow a greater percentage of ethanol in gasoline. Over the past two years, EPA has taken several actions that have allowed the sale of gasoline blended with up to 15% ethanol by volume (“E15”) under certain conditions. In response to a 2009 petition submitted by Growth Energy and 54 ethanol manufacturers, EPA granted partial waivers under the Clean Air Act to begin to pave the way for E15 use. As a result of these waivers, EPA allowed E15 to be used in light-duty vehicles of model years 2001 and later, but not in older vehicles. E15 was also not approved for use in motorcycles, vehicles with heavy-duty engines, such as school buses, all off-road vehicles, such as boats and snowmobiles and all engines in off-road equipment, such as lawnmowers and chain saws, as well as light-duty trucks and SUVs. EPA also issued a final rule in July 2011 that specified the conditions to allow the sale and use of E15 for the approved classes of vehicles. I’ll discuss in the companion blog post what the final rule requires, and what else must be done to gain approval to sell ethanol for E15 use. 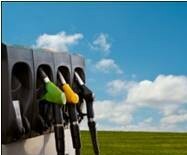 There is also a limited market in the U.S. for a higher blend of ethanol in auto fuel. So-called “E85” fuel is a gasoline-ethanol mix of up to 85% ethanol volume percentage (between 51% to 83% ethanol, depending on geography and season). It can only be used in engines modified to accept higher concentrations of ethanol, which are known as flexible-fuel (FFV) vehicles. E85 is only sold in a relatively small number of gas stations, mostly in the Midwestern states. Published estimates show that there are at least 2,400 fueling stations in more than 40 states that offer E85 to the over estimated 9-12 million FFVs on U.S. roadways. Published estimates of E85 sales are only around 60 million gallons per year, which is only a small percentage of the 12 billion gallons of ethanol mandated under the RFS. The limited number of FFVs on the road in the U.S. clearly limit the potential market for E85 at this moment in time. EPA’s action to approve E15 led to the drawing of familiar battle lines. On one side are the ethanol industry and the biofuels community at large, which have predictably applauded and supported the decision. However, opposition to E15 has emerged from various entrenched interests, including the petroleum industry, certain auto and engine manufacturers, and others who are more broadly opposed to biofuels in general, particularly groups concerned about the “food vs. fuel” issues triggered by the expanding use of corn to produce ethanol. In the two years or so since EPA action first cleared the way for E15, these opposing forces have lined up to make their arguments to the public about the pros and cons of this fuel. The following are some of the more significant issues that have been brought up in the public debate so far that may limit or delay the market acceptance of E15. In October 2011, a coalition of industry groups led by the Grocery Manufacturers Association, including engine manufacturers, food producers, and petroleum suppliers, filed a lawsuit against EPA, challenging EPA’s rulings allowing E15 to be sold. In August 2012, the U.S. Court of Appeals for the District of Columbia Circuit ruled in EPA’s favor and rejected this lawsuit. However, this decision was based solely on a finding that the petitioners in question did not have standing to bring the lawsuit (i.e., that the E15 waiver has not caused demonstrable harm to the petitioners), potentially leaving the E15 decisions vulnerable to a future challenge by an entity that can better demonstrate that the E15 waiver has caused harm. On July 12, 2012, the American Petroleum Institute (API) issued a press release warning consumers that E15 may damage vehicle engines, citing an API-funded study that was published in April 2012 purportedly showing engine damage caused by E20 and E15; a study that the ethanol industry has vigorously disputed. API also contends that E15 could also damage the engines of boats, recreational vehicles, and lawn equipment and they have said that consumers should follow the fueling recommendations in their owner’s manuals and read all gasoline pump labels carefully before refueling. The ethanol industry rebuttal from the Renewable Fuels Association notes that API’s “warning” is based on a highly questionable study funded by API and other oil interests in which some vehicles failed testing, including tests conducted on gasoline not containing ethanol. According to RFA, the protocols involved in this study were questionable enough to draw a “harsh” rebuke from the U.S. Department of Energy which conducted more than 6 million miles of testing on E15 and found no problems for vehicles built in model year 2001 and newer. Opposition has also been seen from the auto industry. Many automakers are saying they are not convinced that E15 is safe for engines, and that repairs will not be covered by warranties. According to several July 2012 online articles in the New York Times, some new Toyotas come with a gas tank cap embossed with “E15-E85” in inch-high letters with a red circle and slash through them. General Motors, Chrysler and nearly all the others were initially cautioning customers that using E15 may damage the car and will void the warranty. However, it was reported in October 2012 that Ford and General Motors have approved the use of 15% ethanol blends in all their new vehicles – for GM that begins with the 2012 models and for Ford, the 2013 models. On November 30, the Automobile Association of America (AAA) issued a call for EPA and gasoline retailers to stop selling E15, alleging that the fuel could damage millions of vehicles and void warranties. AAA, the largest motorist group in the U.S., claims that only 12 million vehicles of the 240 million now in use have their manufacturers’ approval to use E15, and the association listed 10 major auto manufacturers that have allegedly stated that E15 use is not covered by, or would actually void, warranties. Several industry groups and one online “car clinic” host have challenged AAA’s assertions, as also has, more recently, March Rauch, the executive vice president of The Auto Channel. The American Council for Ethanol has also weighed in, sending a letter to the AAA criticizing the Association’s stance. Another obstacle to E15 adoption will be the cost to gas station owners to install new pumps and to make other needed modifications. Most gas stations do not have the equipment to offer both E15 and E10 and thus may decide not to offer a fuel that cannot be used by a significant percentage of their customers. Others do not have the equipment to handle any blends above E10. This obstacle may apply to the adoption of E85 as well, although there is a tax credit for installation of E85 pumps that was extended by the recent “Fiscal Cliff” legislation, and there are some state promotional programs I’ll mention in a future post. As noted above, E15 may also require state-by-state approval. This is likely to happen first in the Midwest, where most of the nation’s corn is grown, but will likely be slower outside these agricultural regions. I’ll discuss some state-specific E15 issues in a future blog post. Finally, general consumer hesitance to try a new fuel will likely limit the impact of E15 in the short term. This is reflected in the above comments in the war of words ongoing between the oil and auto industries and the ethanol industry, and was discussed in the July 2012 New York Times articles. There are some significant issues here – although adding ethanol to gasoline raises the fuel’s octane rating, it also decreases the fuel efficiency, so that motorists will travel fewer miles per gallon on E10 or E15 than on traditional gasoline. This issue might be moot if the price per gallon of E10 or E15 were lower than that of gasoline, but this is not always the case, and the fluctuating prices of gasoline and ethanol (particularly as ethanol prices have risen due to the drought and other factors), make the impact of these economic factors hard to predict. The approvals that have paved the way for use of E15 are a positive development for the biofuels industry, and are a first step in overcoming the “blend wall”. However, it is clear that more work needs to be done to increase the adoption and market penetration of E15, so that it can have a significant impact on the amount of ethanol used in the U.S. market. I’ll continue to report on new policy developments that will affect market acceptance of E15 in the nation’s fuel supply. Posted on January 11, 2013 by dglassassociates. This entry was posted in Ethanol. Bookmark the permalink.